Is there anything more unhomely than mold? It grows in the walls, roofs, and of course, carpets. If you have mold growing in your carpets then you need to act fast! Mold is not just damp and smelly, it can also be dangerous, especially if you have young children in the house. If you have a major mold problem you will certainly need the assistance of a trained professional to remove it, but, if you tackle the issue early on, there are several DIY methods that you can use to keep your home mold free. 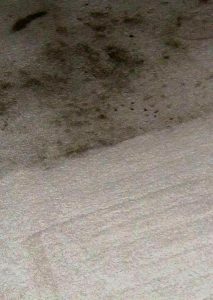 Before we can get on to explaining how to remove and eliminate mold from your home, we must first establish what exactly mold is, and how it gets into your carpets in the first place. Mold is a putrid and foul-smelling fungus which derives sustenance from organic matter. It survives by eating the bacteria eats the bacteria from your carpets or any other wet and damp surface. If left unchecked, mold will continue to grow and devour the surface it’s living on. Eventually, it may destroy it completely. Aside from being disgustingly rancid, mold is also a health hazard. If-inhaled, mold can damage one’s lungs, especially those of small children. Some types of mold can cause cancer, heart conditions, and blood disorders. Far too often, we at Flat Rate Carpet have found large quantities of mold growing on the furniture and carpets of children’s bedrooms. Needless to say, we eliminated it immediately, but this is a problem we encounter often and we cannot stress enough how important it is to kill toxic mold as soon as you notice it. This leads us to the next step – identifying mold. Sometimes mold can be camouflaged as a stain or spill, so it’s important to be aware of the key identifying features. First, unlike stains, mold grows. If that damp stain on the carpet looks a little bigger than it did last week, you most certainly have a mold problem. While you sleep the poisonous fungi was slowly eating away at all the bacteria living in your home. Secondly, mold has a distinct appearance which can be used to identify it. Some types of mold have a circular pattern, while others have a green/black color. If you notice a patterned or oddly colored stain on your walls or furniture then chances are you have a mold issue. Finally, a good way to detect mold is to examine any unusual symptoms you or any household member has. If anyone living in the home has persistent, non-seasonal allergies, skin irritations, or congestion, then you might have a mold issue. If you notice that you feel better when away from your home, then the problem is pretty much guaranteed to be in the home. Ultimately, it’s not always possible to detect mold, so you might want to consider investing in a mold-detection kit. These kits test the air quality in the home and can identify if any mold spores are growing. Ok, so you have a mold issue in your home, now what? The first step to verify that this a DIY job and not something that should be left to an expert. If the mold is less than 3×3 feet and on a damp surface, then you might be able to attempt it on your own. However, if the mold is black, larger than 3×3 feet, or caused by a contaminated water source, then it’s best left to the experts. Before you go all bleach-a-blazing, make sure you have the correct safety equipment! Use rubber gloves, a respirator/mask, and some eye goggles. If you want to go the extra-mile safety wise, throw on some coveralls for the ultimate protection. Pour the carpet mold cleaner into the carpet, take care not to overuse it as bleach is also toxic. A small amount poured directly into the mold is sufficient. To prevent mold from growing again, use an antifungal spray from time to time, ensure the room is always well ventilated, and any wet spills are cleaned and dried right away. This guide is only for small patches of mold that have only recently begun to grow. For serious cases of mold, we strongly recommend using professionals to eradicate and eliminate all traces. Here at Flat Rate Carpet, we specialize in mold removal and carpet cleaning in New Jersey, including Jersey City NJ, Middletown NJ, Morristown NJ. It’s lovely to have carpets at home: they’re colorful, they’re bright, they’re nice and comfy to walk on, and they add both coziness and a stylish touch to your place. These days, there’s a variety of carpets available to suit every taste: carpets come in all colors, shapes, sizes and textures. So where’s the downside to getting a carpet? Well, let’s say they’re not the easiest item to clean… but nevertheless they must be cleaned often. Don’t worry, though – we’ve got lots of carpet cleaning tips for you! Next time your carpets need to get cleaning, perhaps you won’t have to look for carpet cleaning Brooklyn services right away. Why is cleaning carpets so important? Carpets easily accumulate dust and debris, and they tend to attract a lot of unwanted “guests”, like insects, mold and bacteria. In addition, there’s always the occasional spill of wine or ketchup on the carpet or that time when your pet accidentally peed on it. Not only do all these things cause carpets to get worn and discolored quickly, they may also present a health hazard to you and the other inhabitants of your home. That’s a fact – which any rug cleaner NYC service will corroborate with. All this can be avoided if you clean your carpet often: quickly blot out any spots or spills with stain remover; vacuum your carpet regularly; make sure you wipe your shoes thoroughly on the doormat before you enter the house; and occasionally wash your carpet. However, it is also important that you pick a carpet that is easy to clean to begin with; that will definitely save you a lot of work. 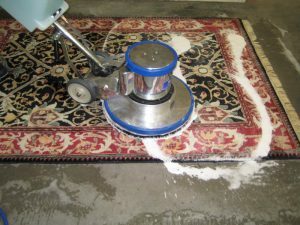 So here is some advice on the easiest carpets to clean, gathered from carpet cleaning services in Brooklyn. Which carpets are the easiest to clean? 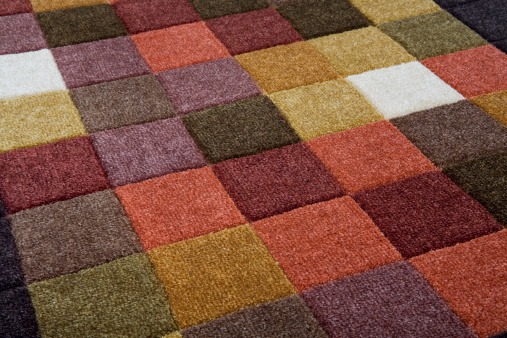 Nylon carpets have the advantages of being very durable on one hand, and easy to clean on the other hand. A pure nylon carpet is very easy to clean, plus, it has a long lifespan; however, it might cost more than other types of carpets. Another great choice, especially for families with young children and/or pets, is nylon frieze carpets. 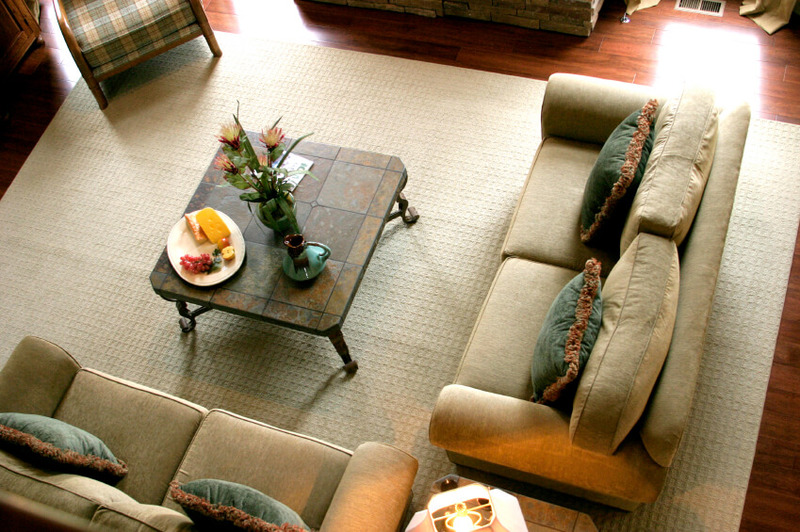 Those are among the easiest carpets to clean, and they’re perfect for high-traffic homes. Surprisingly enough, wool carpets are also considered quite easy to clean and maintain. They repel water naturally, which makes them harder to stain, and their low static electricity makes them attract less dirt than other types of carpets. Plus, their fibers don’t get worn easily because they bounce back up even after being stepped on a lot; and they tend to keep their original color for a very long time. They may be more expensive than other carpets but they have a long lifespan, too. If you’re on a budget and can’t afford a nylon or a wool carpet, the next best choice is a propylene carpet. 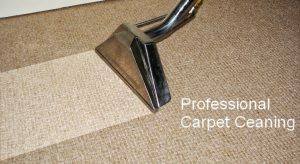 They don’t bounce back as easily as wool carpets, and they’re not as easily cleaned as nylon carpets, however, they’re still relatively easy to clean and maintain, if you make sure to protect them and clean them regularly. So now that we’ve laid out all the best options for you, check which one best fits your budget and other needs and go shopping for your perfect carpet. Good luck! And if you still need help with cleaning the carpets professionally, just look up “carpet cleaning Brooklyn NYC” or “carpet care carpet cleaners NYC” on the internet. If you have carpets in your home, you may have noticed that they need better and more frequent care during the summer. While winter isn’t very kind to carpets – what with mud stains and the difficulty of airing carpets outside when it’s raining – summer can be even harsher. The kids are home all day, spilling stuff, running around and using their colors everywhere; pets are shedding their winter coats all over the place; friends and family keep visiting; and more outside activity means bringing in more sand, dust, twigs, insects and debris. In a matter of a few weeks, your carpets might look worn and dirty even if you’ve just bought them recently; and you’ll find yourself frantically looking for carpet cleaning services in Brooklyn. To make sure your carpets stay nice and clean all summer without too much effort on your side, we’ve decided to present you with the following carpet cleaning tips. So before you look up carpet cleaning Brooklyn NY, give it a try with these methods! With kids running around and playing everywhere, and a constant stream of guests, something is bound to get spilled on the carpet at least once. So the best strategy is to prepare for such an occurrence in advance: stock up on stain remover and clean white cloths. If your children are old enough, show them how to clean up spills for the times you’re not at home with them. For extra measure, have some packages of baby wipes ready as well – they do quite a good job in blotting out and absorbing stains! Ask anyone who comes into your house to take their shoes off before they come in – and provide them with slippers if necessary. This way you’ll keep a lot of the dirt, dust, bacteria, etc. away from your carpets. For guests who for some reason can’t or won’t take their shoes off (for example, the guy who comes to fix your AC), place a mat outside the door, so they can wipe their shoes clean before they enter the house. A good way to keep carpets clean throughout summer is simply to vacuum them regularly, about once a week. This way, even if they do accumulate dirt, dust, tiny critters and bacteria, vacuuming will remove them as well as keep their fibers from getting worn. 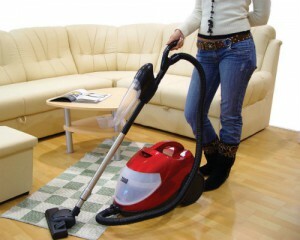 Besides the regular vacuuming, make sure you also vacuum after you’ve had a large family gathering or a dinner party. 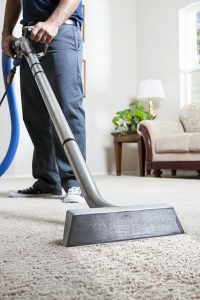 Vacuuming regularly is a tip all carpet care carpet cleaners NY will give you – and they know what they’re talking about! It’s summer, the sun is shining and the weather is great. Why sit with guests inside when you can all enjoy the sunny weather and summer breeze in your terrace or back yard? Being outside is also perfect for kids as there’s a smaller risk of getting stuff dirty or broken. Your guests would only have to enter the house to go to the bathroom, and you can hang up a sign which shows them the way so they don’t wander around and trample all over your carpets. Summertime offers the perfect opportunity to wash your carpets: the warm, dry weather makes it very easy to hang them outside to dry. 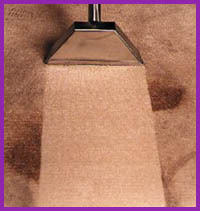 Wash your carpets every few weeks (or more if necessary) and normally, they shouldn’t take more than 1-2 days to dry. Hopefully, the next time summer comes around, you’ll be using all these tips and enjoying clean, bright carpets all summer long! However, if you do get some persistent stains that just won’t go away, don’t hesitate researching online for a good carpet cleaning service: terms like “rug cleaner NY” or “carpet cleaning Brooklyn” should do the trick. Should you clean your carpet yourself or hire a pro? There is no way around it: it’s time to clean your carpet. When you just bought it, it looked brand new, its colors were bright and it was so clean you could eat right off it (not that anyone would want to eat right off a carpet except your dog, perhaps – but still). A few months have passed and the carpet looks nothing like it did back then. It’s stained, it looks worn, even the colors look a little faded. Is it time to look for carpet cleaning NJ services? Of course, there are other reasons to clean your carpet: over time carpets accumulate dust, dirt, debris, bacteria, mold, etc. You may not see those things with your naked eye, but that doesn’t mean they’re not there. Not only is it unpleasant to think what could be hiding in the tiny fibers of your carpet, it could actually become a health hazard and cause you and your family breathing problems, allergies and so on. So your carpet definitely needs to be cleaned, the only question now is – should you clean it yourself and save the money, or should you really look up “rug cleaner NJ” on the internet, have it cleaned by professional carpet cleaners and save the hassle? It turns out that each of these options has its pros and cons. Before you decide, it would be wise to educate yourselves about them so you can make an informed decision. DIY carpet cleaning: is it worth it? Nowadays, it is actually possible to buy or rent high-quality carpet cleaning machines you can use for cleaning your carpet. 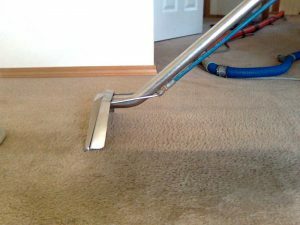 Buying or renting such a machine is typically cheaper than getting your carpet professionally cleaned; so are commercial carpet cleaning products. Cleaning your carpet yourself also means that you’ll have control over the work being done and your schedule – you won’t have to schedule the cleaners for an inconvenient time or negotiate with them over which carpeted areas they’ll be cleaning. However, the time and money you save have their costs too. DIY carpet cleaning machines are usually less powerful than the professional ones used by carpet cleaning services NJ, and don’t go as deep: you simply won’t get the same result. The cleaning products sold in supermarkets may be cheap, but they’re not as effective as professional products. Also the time you save in managing the project yourself would go into actually doing it yourself: moving around furniture, using the machine on all the carpeted areas, waiting for them to dry, and so on. Should you just go pro? 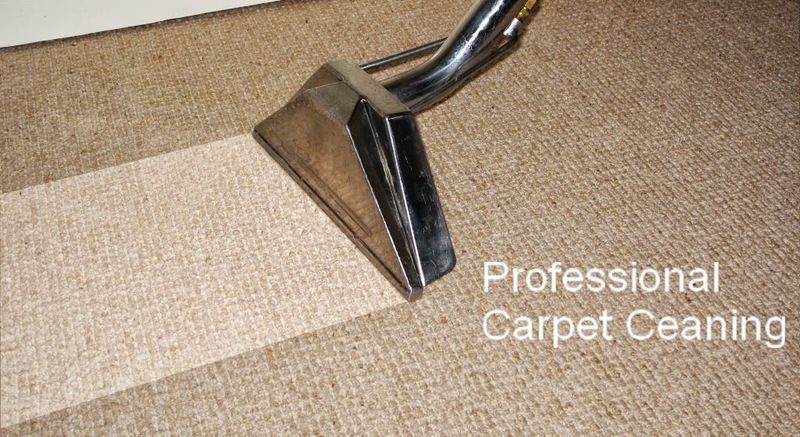 The main downside of professional carpet cleaning is the price – it isn’t cheap. Other downsides are having to schedule it in advance and preparing the house accordingly. But if you think about the results, perhaps you won’t mind putting in the time and preparations: the cleaning will be carried out by professional carpet cleaning NJ experts who have lots of experience, using powerful equipment, professional products and effective methods. This will result in deeper cleaning of your carpets and longer-lasting results. Plus, it would give your carpet a longer life. So you should think of the higher cost as an investment: expensive in the short run, but money-saving in the long run. Your home or your office is covered in beautiful carpets you purchased some years ago, and up until recently you’ve had no problems with them whatsoever; they’ve created a pleasant atmosphere and added color and life to the surroundings. That’s why you were so devastated to discover one day that the carpets are teeming with nasty little bugs! How horrible. This kind of situation can really be upsetting, but don’t throw out the carpets just yet – carpet beetles can be removed by pest control professionals; and there are ways to keep them at bay so this doesn’t happen to you again. 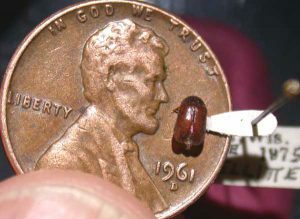 But before we dive into the solutions that can be used to treat a carpet beetle situation, let’s first learn all about those tiny creatures. Carpet beetles (Anthrenus verbasci) are a common species of beetles which can often be found as pests in domestic houses: the beetles’ larvae can cause damage not only to carpets, but also to clothing and furniture. Carpet beetles have round bodies, parts of which are covered in scales, and their color is an irregular pattern of yellow, brown and white patches. How big are carpet beetles? Carpet beetles are 1.7 to 3.5 millimeters long. Surprisingly, the larvae are bigger than adult beetles: the wooly, elongated larvae are 4 to 5 millimeters long. Carpet beetles are very common and they live in a variety of environments – not just carpets! However, they prefer areas with low humidity as their eggs develop best in dry areas. They can found in most of Europe, in North Africa, in the Mediterranean countries and the Middle East, in North Asia (Russia, China, etc. ), and in North and Central America. So as you can see, they’re pretty much everywhere. They can easily enter your home through openings such as doors and windows, or on plants and flowers that are brought inside. To understand what causes carpet beetles, you must first understand what attracts carpet beetles. The secret lies in their food preferences. These beetles like to eat animal-based items, such as wool, fur, leather, animal hair and silk. Understandably, this attracts them to upholstered furniture, clothing, blankets and of course – carpets. But why are carpet beetles also found in synthetic carpets, which are not made of animal materials? Well, synthetic carpets (like other carpets) often absorb food, oil, perspiration and other organic materials from their surroundings. If you’re wondering now, “But where do carpet beetles hide?” – they’re not necessarily hiding, they’re simply so small, and their carpet habitat is so good in hiding them, that sometimes it’s difficult to spot them until they’ve become numerous. You obviously don’t want your home to be infested with carpet beetles and their larvae, so what’s the best way to get rid of them? Well, it depends on the situation. If you haven’t seen carpet beetles at your home at all but you want to keep them away, there are some things you can do: regularly vacuum your furniture, carpets and areas where food is stored such as the pantry; store all your food either in plastic containers or in the fridge; dust your home thoroughly on a regular basis; and check for pests and insects on plants and flowers before bringing them inside your house. However, if you already have carpet beetles in your home, your best option is to contact pest control professionals. After they’ve eliminated the beetles, be sure to follow the procedures in the previous paragraph so they don’t come back. Good luck!